Oleg (Homepage) wrote: Magia! Sembra di essere in una favola. Jarrard (Homepage) wrote: Fantastic light. dewaun.simmons (Homepage) wrote: wonderful! the light rays are simply fantastic. Superb "misty morning" feeling to this shot. Tom (Homepage) wrote: Wow. This is really pretty. Cyril (Homepage) wrote: Simply, amazing! I like the ray of lights... just beautiful! Denis (Homepage) wrote: Superb effect. Very clean, very sharp, very expressive image. Great one Paolo ! Framed and Shot (Homepage) wrote: Superb light! We like the way you have emphasized the patches of colour on the forest floor. Jim - 365,000 words (Homepage) wrote: Just incredible light in this image. Very well captured and processed. Gromitch (Homepage) wrote: Nice lighting idea! Great! Marie (Homepage) wrote: magique, et très beau ! Andrés (Homepage) wrote: Superb image. Very poetic. TP@Photoskiasi.com (Homepage) wrote: Oh my... what a lovely shot. I love the fact that trees are almost desaturated. lusyamcoga (Homepage) wrote: Oh quelle ambiance ! c'est magnifique !! Riccardo (Homepage) wrote: Bellissima! Cio' che mi colpisce in questa foto (oltre alla sua eccezionale nitidezza) è la luce. Immagino che tu abbia scattato con il treppiede e con tempi lunghi...Veramente un ottimo lavoro. Riccardo. Joaquin Arias (Homepage) wrote: Fantastic work, great! Ilger.nl (Homepage) wrote: What a shot and what a processing! This photo has it all....moreover because you were able to keep all the detail. Impressive. Mirko Herzner (Homepage) wrote: A stunning shot. Very well processed. Truly amazing! I am goging to bookmark it on VFXY. beanow (Homepage) wrote: Wow! Stunning shot! Petra (Homepage) wrote: Wow, what a beautiful capture of light! LightningPaul (Homepage) wrote: Amazing! Really great. Perhaps a little bit overdone but the result is still awesome! 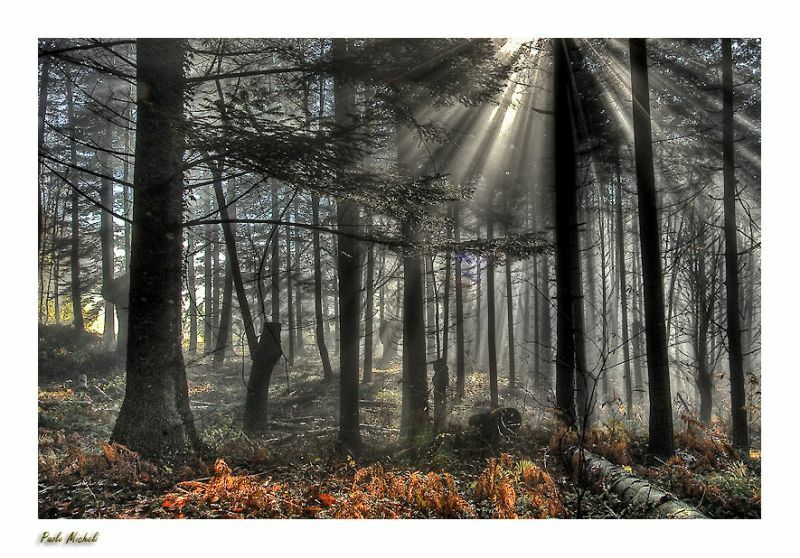 Calusarus (Homepage) wrote: A marvellous light and mist in this forest shot. Cheers. Sobral (Homepage) wrote: Che atmosfera magica! Bellissima foto, complimenti! Liang (Homepage) wrote: Beautiful shining light blazing through the trees! Perfectly captured!! polydactyle (Homepage) wrote: Wonderful light. We can smell de woods. Alex Caballero (Homepage) wrote: Bellisimo paisaje, esa luz atravesando los arboles le da una fuerza, por no hablar del tratamiento que has aplicado, buenisimo...saludos, me encanta tu trabajo. 613photo (Homepage) wrote: No kidding. That is some beautiful light. It makes for very dramatic image. Nicely done. Nick (Homepage) wrote: WoW! Love those light beams and the grasses. Fantastic. Elaine- (Homepage) wrote: lol it says my comment is mandatory... like WOW dude, amazing pic!!! Andrew (Homepage) wrote: Mystical atmosphere, inspires me to walk through those woods. Very nice image, and the sunbeams look awesome! martie (Homepage) wrote: Love this composition - the gold/orange in the foreground is wonderful. However, the lighting is spectacular! grant (Homepage) wrote: stunning, fairytale landscape! Laurie (Homepage) wrote: Superb! Lovely with the sun rays. MIles Wolstenholme (Homepage) wrote: WOW. This is so beautiful. Fantastic composition, the lighting and muted colours are perfect! Craig (Homepage) wrote: Great light combined with subtle colour, this is a wonderful image! Ted (Homepage) wrote: Beautiful shot, saturation of colour & exposure. Arjan - PlasticDaisy (Homepage) wrote: The martians are coming!! I knew it! This is stunning! What a great light! claire (Homepage) wrote: this is one image where all i can say is.... wow. stunning. eyeswideopened (Homepage) wrote: yes, this rocks! Marcie (Homepage) wrote: Love how you've captured the sun's rays. You are so good at these gorgeous manipulations! WOW! grant (Homepage) wrote: again, magical light! Darrius (Homepage) wrote: now that is great light.. and placement of light. nice. Alex Caballero (Homepage) wrote: Bellisimo bosque, con una entrada de luz magnifica...me eh quedado de piedra con tan buen tratamiento, saludos. sherri (Homepage) wrote: The light streaming through the trees is incredible. Such a beautiful woodland and wonderful capture. siam (Homepage) wrote: My compliments very good quality of shoot, I like this treatment. Riri (Homepage) wrote: Great light !